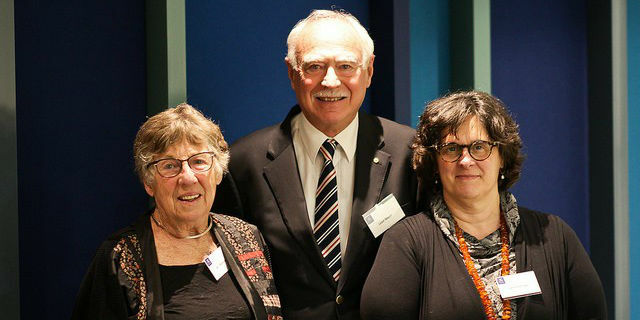 The University of Melbourne Social Work Alumni Association (UMSWAA) held its annual dinner on Thursday 22 September, at the Woodward Centre. 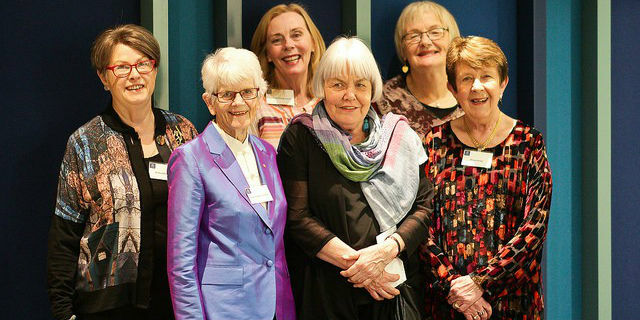 The Dinner celebrated the contribution of Jean Downing (recipient of the 2016 Hyslop medal) and also that of five graduates who were awarded Australian Honours: Maria Myers (AC); Anne Kantor (AO); Leon Mann (AO); Janet Paterson (OAM) and Janet Farrow (OAM). 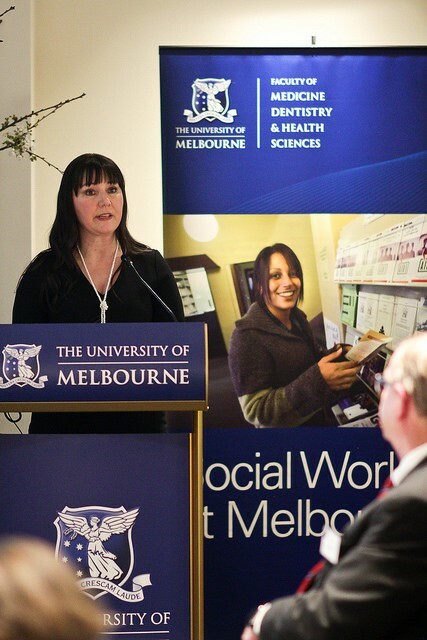 The guest speaker, introduced by the President of the UMSWAA, Dr Jane Miller (AM), was Penny Mackieson, Chair of VANISH and author of Adoption Deception: A personal and professional journey, who spoke on “Adoption: the elephant in the social worker’s office”. The evening was enjoyed by guests, Faculty and graduates and hearty thanks is given to the thought and planning of members of UMSWAA and the Advancement Office.